Made of lightweight and breathable polyester, the Juventus 2017 kids shirt, made by Super Bolla, can be customized with a name and an assorted number printed on the back. More info. The printed number for each jersey is randomly assigned. You might receive a jersey with a number different from what you see in the picture. 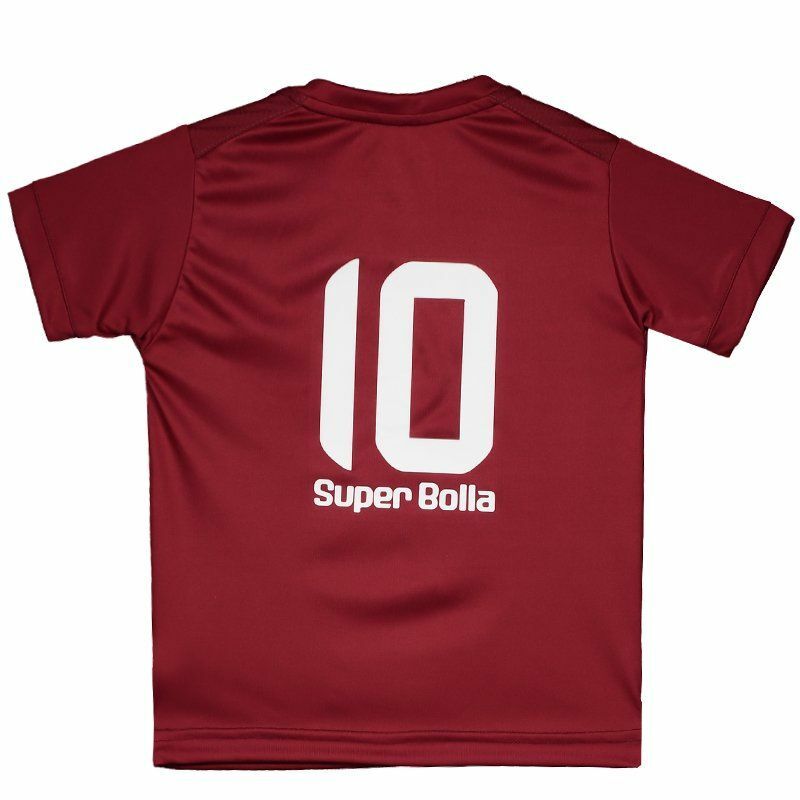 Made of lightweight and breathable polyester, the Juventus 2017 kids shirt, made by Super Bolla, can be customized with a name and an assorted number printed on the back. The fabric features Dry Ice technology, that assists in controlling perspiration to keep the body of the small fan cool and dry. 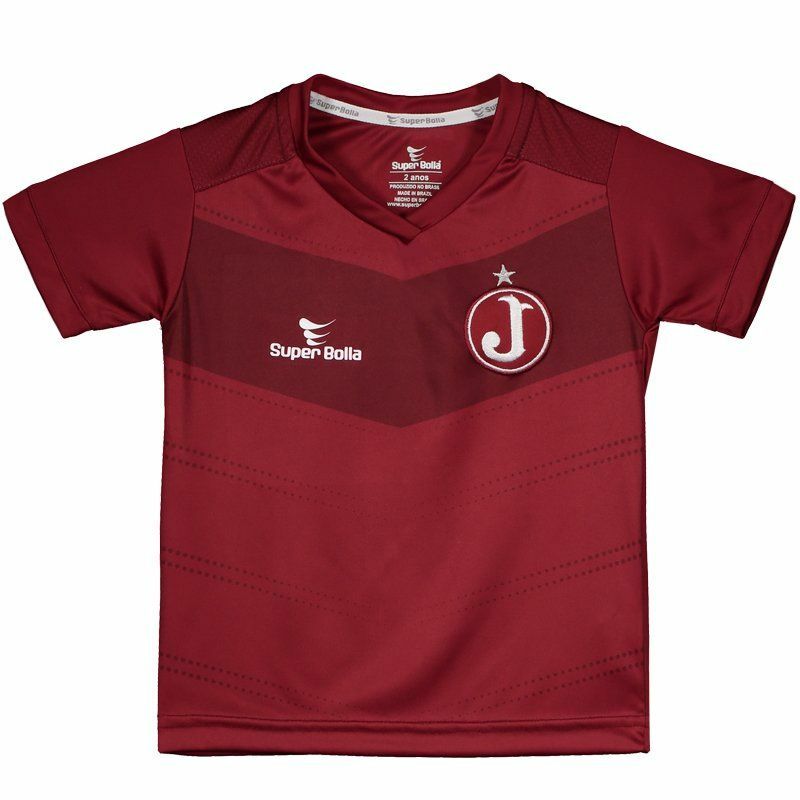 The design features the traditional red-grená as predominant with a stripe in a darker color tone, highlighting the team's badge, embroidered on the chest. Finally, geometric details on the front complement the piece.